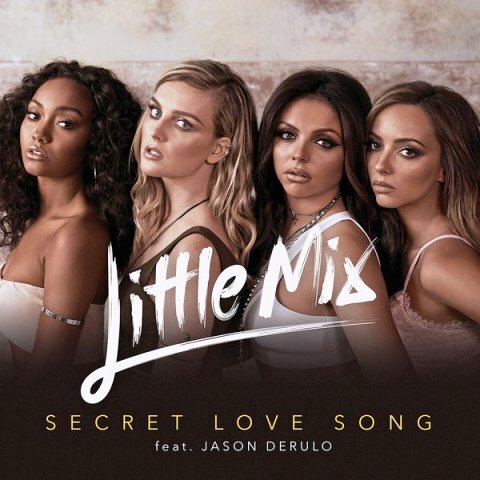 "Secret Love Song" Song Lyrics from the English Album 'Get Weird - 2015', song sung by British girl group 'Little Mix' and featuring singer American singer Jason Derulo, song penned by Jez Ashurst, Emma Rohan, Rachel Furner & Jason Desrouleaux, and produced by Jayson DeZuzio, Maegan Cottone, Sam Ellison. Little Mix are a British girl group formed in 2011, consisting of members Jade Thirlwall, Perrie Edwards, Leigh-Anne Pinnock, and Jesy Nelson. The group was won the competition of X Factor in 2011 and became the first. And they signed with Simon Cowell's record label Syco Music and released a cover of Damien Rice's "Cannonball" as their winner's single. The music video for "Secret Love Song" was directed by Frank Borin. It was filmed at London Bridge and Tower Bridge. The lyrics discuss unrequited and forbidden love, while Derulo's verse details his personal experience of having an affair.